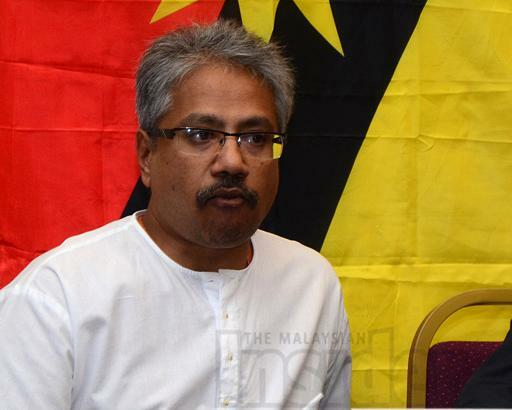 Political activist and Hindraf chairman P. Waythamoorthy is the latest person from the peninsula to be declared a “persona non grata” by the Sarawak government and barred from entering the state. Waythamoorthy, who was due to speak at a public forum on the Sedition Act and its implications on the aspirations of Sabah and Sarawak nationalists this afternoon, was told by immigration officers at the Kuching international airport upon arrival at 11.40am that they had received “instructions from the Chief Minister’s Office not to allow him in”. He had flown in on an AirAsia flight. “No reason was given,” said Lina Soo, an organiser of the forum who managed to speak to Waythamoorthy for 10 minutes before he boarded the next available flight back to Kuala Lumpur. The former deputy minister in the Prime Minister’s Department was allowed into a public area of the airport so that he could speak to Soo and another political activist Peter John Jaban of Radio Free Sarawak who were there to pick him up. Waythamoorthy resigned from his government position on February 8 last year over what he and Hindraf said were the government’s failure to attend to the needs of the country’s Indian community. Soo said neither she nor Waythamoorthy had anticipated that he would be banned from the state. “He came in twice (on similar speaking engagements) and there were no problems. “So this was quite a surprise. “Now I’m wondering, why would the state allow 12,000 Bangladeshis to come in but not allow one Malaysian Indian in?” asked Soo, referring to the state allowing Bangladeshis to enter the state and work as oil palm plantation workers. Waythamoorthy is not the first person to fall foul of Sarawak Chief Minister Tan Sri Adenan Satem’s promise to bar “racial bigots, religious extremists and trouble makers” from entering the state. The last person to be turned away was Ampang MP Zuraida Kamaruddin. The PKR women’s chief had to spend seven hours in a restricted area of the Kuching airport while she waited for the next available flight back to Kuala Lumpur after she was again denied entry into the state on November 30. Zuraida, too, was not given any reason for the denial of entry except that it was done “on instruction from the Chief Minister’s Office”. Zuraida had been stopped at the Sibu airport in March while trying to join the campaign for the PKR candidate in the Balingian by-election. However, she managed to slip in in April. Also in March, and in relation to the Balingian by-election, Zuraida’s party colleagues, Rafizi Ramli, Batu MP Tian Chua and former PKR secretary-general Datuk Saifuddin Nasution Ismail were barred from entering the state. Rafizi and Chua had flown in together into Sibu with their de facto leader Datuk Seri Anwar Ibrahim. While Anwar was allowed in, Rafizi and Chua were told by immigration officers they could not be allowed in as their names were on the blacklist. Malay rights group Perkasa president Datuk Ibrahim Ali, considered a racial extremist by the state, is high on the immigration black list.